In another weird case of over-reaction, a man in the US has been in prison for no less than 8 days after posting the lyrics to an Exodus song to his Facebook profile. 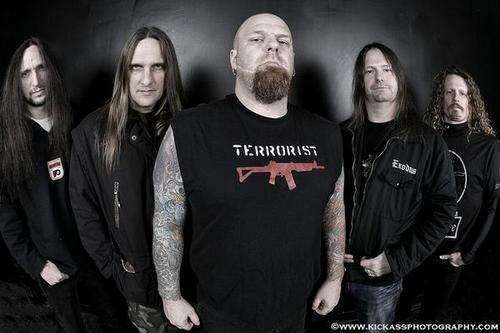 Exodus are an extreme thrash metal band, known for being provocative. But when 31 year-old James Evans posted some of the lyrics to the song “Class Dismissed (A Hate Primer)”, alarm bells apparently went off. Evans was arrested for making a “terroristic threat” against a school and its staff (although it might be worth pointing out that “terroristic” is not even a word in the English language). My take: given the number of school killings in the US, you can’t knock the police for keeping an eye on individuals that might be preparing something. But there’s a very big jump between that and making the posting of lyrics a criminal offence (“terroristic”, no less) and detaining someone for eight days. A little more common sense might have been in order. On October 29, Evans’ charges were finally dismissed by a Kentucky court. Luckily, common sense prevailed. Evens, after all, was risking 10 years in jail!